Kevin Harvick, driver of the No. 4 Busch Light/Mobil 1 Ford Fusion for Stewart-Haas Racing (SHR), trails Monster Energy NASCAR Cup Series points leader Kyle Busch by 70 points heading into Sunday’s Consumers Energy 400 NASCAR Cup Series race at Michigan International Speedway in Brooklyn. While most of the focus continues to be on the “Big Three” of Harvick, Busch and Martin Truex Jr., including their ability to dominate with stage and race wins, the 70 points that separate Busch and Harvick is another point of emphasis just four regular-season races remaining. At the conclusion of regular-season-ending Brickyard 400 at Indianapolis Motor Speedway, the points leader collects 15 playoff points while the driver who finishes second collects 10. That five-point differential between first and second in the regular-season championship could play a vital role in whether a driver makes the winner-take-all Championship 4 playoff finale at Homestead-Miami Speedway. Harvick will continue his quest for playoff points in the four races that remain in the regular season. Thus, even more pressure to start up front and, ultimately, to try to win the Busch Pole Award. Harvick ranks second with 33 playoff points heading to Michigan, just two markers behind Busch’s 35 and six ahead of Truex. The Big Three have accounted for 16 of the 22 race wins in 2018 and nearly 65 percent of the total playoff points accumulated thus far – 95 of 147 available. 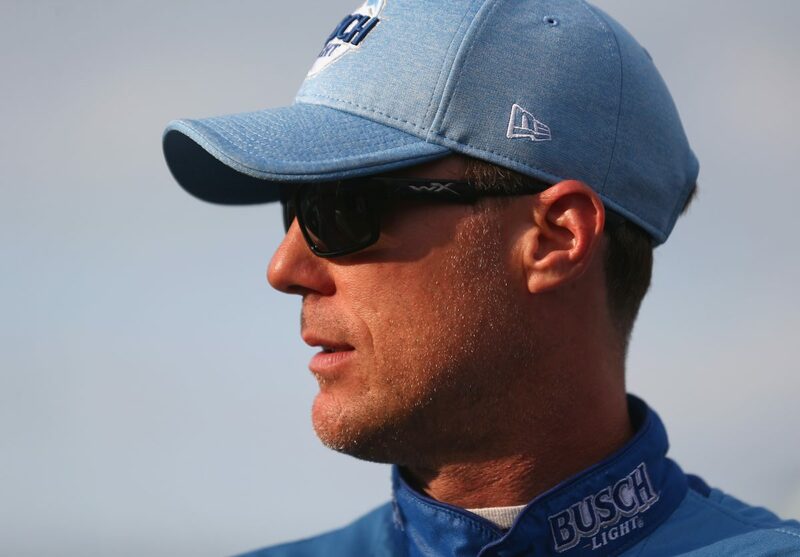 As the series heads to the Irish Hills of Michigan this weekend, Harvick also has some unfinished business from the June race there that he would like to settle. Harvick started fourth and dominated the FireKeepers Casino 400 by leading 49 of the 133 laps before rain came and ended the race prematurely. Harvick’s teammate Clint Bowyer opted for an aggressive pit strategy as the rain was approaching and held off Harvick on a restart as the rain began to fall. Bowyer was declared the winner with Harvick finishing second as the race ended under caution. Harvick, the Bakersfield, California native, has one Cup Series win to his credit at Michigan when he finished 1.731 seconds ahead of runner-up Denny Hamlin in August 2010. While he is still searching for his second trip to victory lane there, he has finished second six times in his last 11 outings at Michigan. The best way to score maximum playoff points in a race is to start up front, earn stage points and win races. Harvick and the No. 4 team can accomplish all of those goals with a win this weekend in the team’s final visit to Michigan in 2018. What does it take to have a good finish at Michigan? Do you enjoy racing at Michigan International Speedway?